With Dusty Feet Mob in Port Augusta, South Australia. Facilitating Thriving Family workshops and family camps. Teaching in the Lightstream Spiritual Formation Institute. Speaking at conferences and churches. Leading Ninefold Path retreats and events. 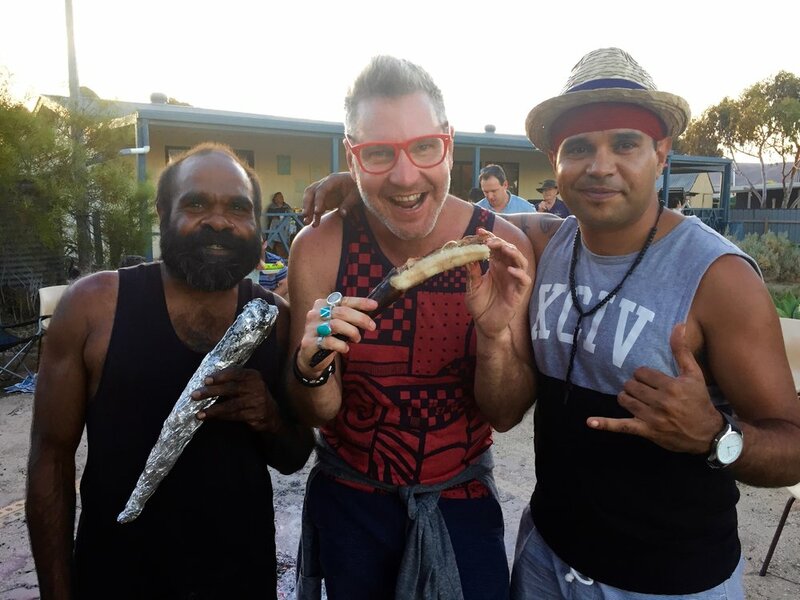 A memorable part of our journey was time spent with an Aboriginal community in Port Augusta. We were officially welcomed to country by an elder and ate kangaroo tail roasted over an open fire. A group of women and children danced the story of the stolen generation for us. They also asked us to say a few words and invited us to share the Beatitude postures. 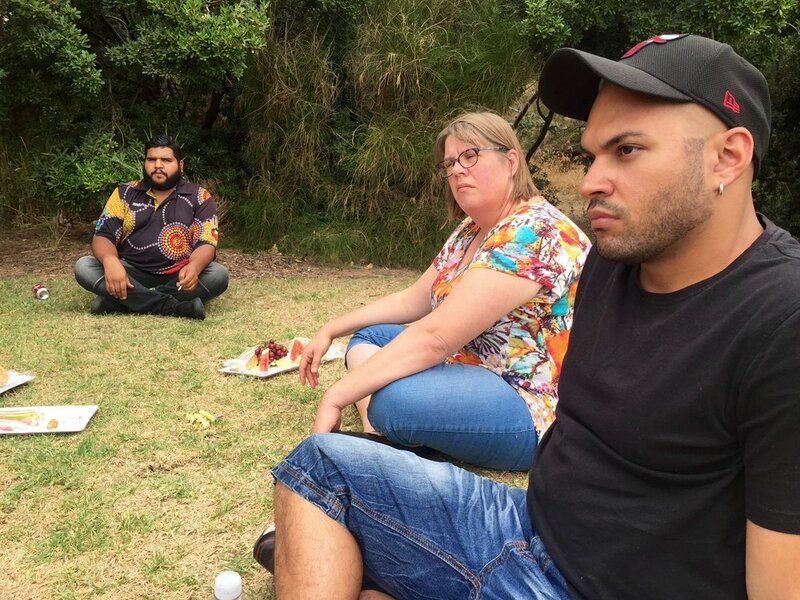 We spent three days exploring spiritual formation practices with a group of young leaders who are working to reconcile the tension between their Christian and Aboriginal identities. Over meals and late night talks these leaders were kind enough to teach us about what life is like for their people. Early European settlers thought Aboriginals were animal rather than human and Australian first peoples were not granted citizenship until 1967. Many children were taken from their parents and forced into adoptions and boarding schools. Aboriginal people are genetically predisposed to eat “bush foods” and a Western diet has led to chronic poor health and disease. Because of this, one young woman in our group has kidney disease, is on dialysis and desperately needs a kidney transplant to stay alive. As we traveled around Adelaide together, I noticed how uncomfortable the group felt under the suspicious gaze of dominant culture folks at malls, parks and stores. “We don’t tell you these things to make you feel guilty,” the young elder said. “But now that you know, we are responsible for creating a better future together." On the second day of the retreat we talked about the invitation to lament, to grieve what’s broken in the world and inside of us, and wait for Divine comfort. We went to an ancestral mourning site, a spring along the coast, and Shawn told us a traditional story about how these seven springs were formed by the tears of a grieving uncle. living here sixty thousand years ago. before nation states and multi national corporations. It's easy for me to romanticize a more earth based and communal way of life. Hunting and gathering our daily bread and sharing with one another. to us getting what we want. and the oppressed to be comforted. for rights and promises to be resurrected. on blood stained ground where the bones of fifty million bison lay buried. We've asked the few to carry the sorrows of the many. so we can sit in CBD offices, airplanes and bungalows by the beach. who have already spent too many days in morning. *When you look at the world, what breaks your heart? What do you see that grieves you, and makes you sad? *What about you? What's broken in you? Where do you feel loneliness, sadness, disappointment, or pain? Where do you long for comfort? If we have the courage to name and sit with our pain, we may experience solace. This week, take time to sit with what breaks your heart. Try writing a prayer or poem of lament. (Adapted from The Ninefold Path by Mark Scandrette and Danielle Welch). Mark is working with a team and training chaplains to develop a spiritual formation path for men in the recovery program at the Bay Area Rescue Mission in Richmond, CA.